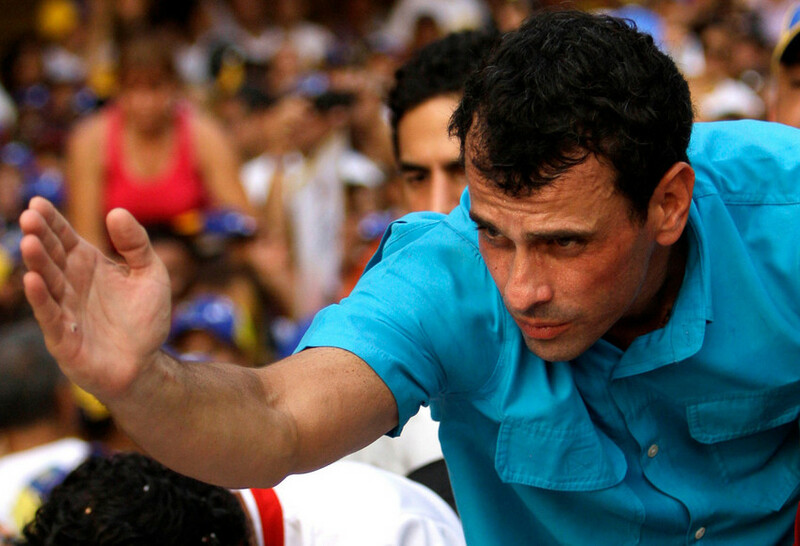 Henrique Capriles’ suicide mission will likely come to an end Sunday, when Venezuelans go to the polls and elect Nicolás Maduro, Hugo Chávez’s handpicked successor, in a nasty, rigged campaign. If Capriles should somehow win -- an improbability by almost any measure -- it is, frankly, unlikely the Maduro forces don’t have a Plan B to hold on to power, such as an appeal to the Venezuelan Supreme Court -- handpicked by Chávez and a vital player in these last few months in the drama of Chávez’s death, Maduro’s presidential succession and the laying out of the campaign frame work. The brief 30-day campaign has favored Maduro not simply because of his association with Chávez and because Chávez’s last public words were an endorsement of him as heir -- though this alone is a mighty reason for many Venezuelans to support him. Maduro’s incumbency, however controversial, has meant the full weight and credit of the Venezuelan government media machine going all out, blacking out Capriles (who’s been reduced to campaigning on one TV station and social media while Maduro campaigns on 7 channels whenever he wants and travels on the government&apos;s dime) and constant attacks of the dirtiest kind. So far, Maduro has strongly implied Capriles is gay and outright called him an “heir to Hitler,” a particularly ironic and stinging barb considering Capriles’ grandparents were Holocaust survivors. On the final day, Maduro warned that anyone who didn&apos;t vote for him would awaken a 100 year-old curse. If anything makes the probable defeat of Capriles particularly sad is that his style of campaigning -- trying desperately to combat the irrational insults with reason, trying desperately to remain above the fray and maintain a respectful and dignified stance -- will be deemed futile and Maduro’s mocking no-holds barred denigrating will be declared effective. The campaign has been grueling, depressing, a hate fest. Sadder perhaps is that Capriles, the only candidate to unite the opposition, will likely end his presidential ambitions with this campaign. At 40, he’s certainly young enough to try again, but he may have spent all his electoral currency in these last two elections (he came within 8 points of Chávez in October, the closest anyone had ever gotten). After this, the next presidential elections are in 2019. Saddest of all is that Maduro winning won’t modernize the Venezuelan economy, which -- no matter what anyone thinks of the Bolivarian Revolution -- is sputtering (the national currency recently suffered a 32 percent devaluation and inflation is at 26 percent). Nor will Maduro, whose campaign made attacking the U.S. an integral theme, move to open up the economy or to invite in outside investors. (especially the many Venezuelans who’ve taken their investments out of the country). Venezuela’s annual oil production has declined by 25 percent since 1999, when Chávez took office, and oil exports have dropped by nearly a half in that time. Consider what that means to a country that depends on oil for 95 percent of its exports and 45 percent of its revenues. Consider too that Venezuela depends on the U.S., its sworn enemy, to buy as much as 40 percent of its oil, in cash, in order to stay afloat. Nor will Maduro make the kinds of structural changes countries such as Brazil, Mexico and Peru have made with an eye toward the long-term. Venezuela&apos;s budget deficit reached 12 percent last year, an astounding figure considering its riches. In fact, though Venezuela has one of the largest crude reserves in the world, it still needs to import gasoline (which it sells at a subsidized price of about a nickel a gallon). Does that make sense to anyone? But Maduro, whose primary goal seems to be to hold on to power, will continue to depend on oil exports to pay for the more than 70 percent of consumer goods Venezuela imports. In other words, Maduro will continue on the road to making Venezuela a one-trick pony with its oil monies, depending entirely on the price and power of oil to pay, first and foremost, for the ever growing domestic subsidies that Venezuela has taken on in the last 14 years. But his first task -- or that of Capriles, on the very off chance he wins and gets to keep the win -- will be to reconcile the country, now dramatically and bitterly divided. There is a tidal wave of resentment waiting to hit no matter who wins. And there is an economic deluge coming, no matter who the president turns out to be.